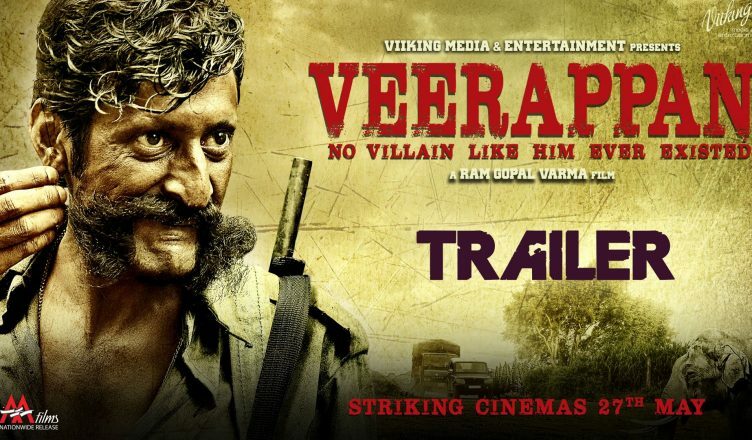 Official trailer of Bollywood movie Veerappan, based on the real life of Veerappan is released. The film, however, depicts the brutal side of renowned sandalwood smuggler before he was shot dead in the forest by cops. The film revolves around Operation Cocoon from the very beginning. In fact the film opens with the planning of this operation meant to capture the renowned sandalwood smuggler. Kannan is the police officer who leads the police cop team entrusted with the duty of searching Veerappan in the forest. During the time of Veerappan’s reign in the forest, the army was also hapless as he did not let them peep into his territory. He was the rule and the law of the forest or he made it that way. According to the police details, Veerappan has killed 97 policemen and 184 civilians, other than killing 900 elephants for their tusks. During the 20 years of search and hunt, a huge sum of over Rs. 734 crore was used. In his attempt to reach Veerappan, Kannan appoints Priya to befriend Muthulakshmi who he thinks to take the police to her husband. Kannan is appointed by Vijay Kumar – the Commander of the Tamil Nadu Special Task Force who himself is the mastermind behind the operation Cocoon. The film is directed by Ram Gopal Varma. Sandeep Bhardwaj, in his lead role, wears the uniform of Veerappan. Sachiin J Joshi, Usha Jadhav and Lisa Ray are other prominent figures who turn up in this movie.